Are you crazy about the bright colour patterns and showy tie dye motifs from the Sixties? 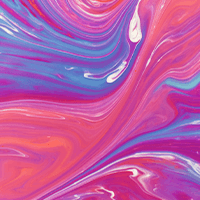 Then CaseCompany’s psychedelic smartphone case collection is right up your alley! One thing’s for sure: your smartphone will stand out from the crowd with one of these psychedelic smartphone cases. The bright colour combinations make it so that you can spot several silhouettes and images within the blending patterns. Let your imagination run wild with the colour combinations of (bright) pink, white, yellow, purple, turquoise and a large number of other bright colours. One of the advantages of our psychedelic collection is the fact that all of the designs look fantastic no matter from what angle you’re looking at it. Every time you’ll watch your smartphone case, you’ll discover a new pattern, mental image or silhouette. Perhaps you’ll imagine seeing a wavy ocean, or maybe even a pink elephant! Pick your favourite trippy design and fancy yourself back in the Sixties! Put on some Jimi Hendrix and travel back in time thanks to CaseCompany’s psychedelic smartphone case collection! This is about as close to the Woodstock experience that you’re ever gonna get! Make cases, not war!